Slow track, supported by melodies of electric guitars and loop sequences that could be slightly melancholic. The rhythmic track between rockabilly, country and rock 'n roll is supported by guitars and male vocals. Dark country guitar track, This composition provides an underlay for impressive landscapes or untamed frontier images and documentaries about adventurous lives. The wild west is just around the corner. Elegant country folk song performed picking on old vintage guitars with a light unobtrusive synthesizer as highlights. Suitable for subtle lounge music or for nature and landscape images. Elegant country folk song performed picking on old vintage guitars with a light unobtrusive synthesizer as highlights. (same as SQUAW A, but with mouth organ and a little more tempo towards the end). This dynamic track is driven by the banjo and solid country rock. Perfect to underlay deep south or sons of anarchy! type themes. A neo dark country track that would be perfect for any tarantino film! With a dark and jaunty beat that will suit travel reports, road movies and advertisments. 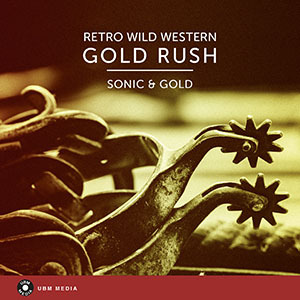 This spaghetti western track comes with drums, trumpets and a whistled tune. Perfect for the appaerance of the main actor in a western movie. Ennio Morricone sends his regards! Romantic, or contemplative composition, with a slow main melody including a heavy electric guitar, accompanied by acustic guitar. Suitable for emotional movie scenes and images. Rhythmic, fast track, fits perfectly with a 60s, 70s roadmovie or a chase sequence. Texmex special!! Electric guitar and spanish vocals determine this track that reminds you of mexican tequila sessions enjoyed on the beach. Triumphant, thrilling, fast tempo track. Ska, punk and western meet in this very fast, dynamic quirky song. including a choir of female, light gospel backing vocals. The blues brothers would be well served with this composition. Quirky country meets spanish pop. In the chorus the hero tries to flattering convince the lady he longs for called Maria in a tongue in cheek manner. Suitable for summer images and commercials. Cinematic spaghetti western music. The electric guitar in the foreground creates a rhytmic and melancholic tune. For thoughtful and atmospheric images it is ideal. Country blues meets folk. A steel dobro slide and easy picking style adds the deep south to your projects. Mysterious sounds reminiscent of pink panther sneaking up the stairs. Or the munsters pottering around the house. An easy, dark country folk composition with a deep groovy line, lounge music for a perfect sunny afternoon. Alligators and moonshine. Melancholic, contemplative and breezy track suitable for romantic or tragic comedies, road trips and thoughtful images. Texmex, western slow, single strummed chords create this atmospheric, light melancholic track. Suitable for documentaries of deserted towns being reclaimed by nature. Or thought provoking western themes.